On the evening following Carli's death, both Hartmut and Curtis attended to the grizzly task of cleaning out Carli's room. Curtis tossed out the monument of old slurpee cups, but, somewhere, somehow, Carli, ever the packrat, let out a groan as soon as the cups hit the garbage can. A few of her special possessions were put aside, most notably, “Slurpee”,“Old Dutch”, and “Mozza”, the three furry companions that were right next to her every inch of the way in her struggle. The rest of her material possessions were organized, boxed up, and moved out to a storage facility, and Room 5 was vacated to make room for the next occupant. That person would have some large shoes to fill. At her request, Carli's mortal remains were cremated and eventually returned to her native New Brunswick. A memorial service was held in Carli's honor on the evening of 18 December 2007 at the Henderson Highway Seventh-day Adventist Church. The service was officiated by Pastors Jeff Potts and Dave Miller, and Linda delivered a tasteful life story to an audience of family and close friends. Right up to her last moments of life, rather than bemoaning her own fate, Carli was showing more concern for Denise than for herself. It is often said about those who have passed on that they would want their survivors to put aside their grief and go on living. Truer words could not have been spoken when talking about Carli. She and her mother were always very close and Carli knew what an impact her passing would have on Denise, but, every step of the way in her struggle, she made every effort to shield her mother from that impact as much as possible. Throughout her stay at Grace Hospice, a number of people visited Carli frequently. In addition to Denise, who often stayed overnight at Carli's bedside, Hartmut, Curtis, Gladys Walker, and Laurie Boon were regular fixtures in Carli's room. In addition to providing plenty of slurpees from nearby P.E.T.R.O.-Canada stations, or from the 7-11 at Sturgeon and Ness when the slurpee machines at P.E.T.R.O.-Canada were in their defrost cycle, more importantly, they all spent time with Carli, providing her with a constant source of comfort in her greatest time of need. 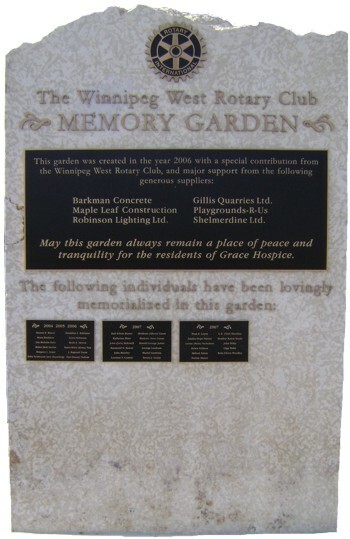 In the fall of 2009, Carli's name was placed on a plaque in the Winnipeg West Rotary Club Memory Garden outside Grace Hospice. Her name on the plaque, together with a plaque inside neighboring Grace Hospital, serve as the only permanent physical memorials of a life that ended far too soon, but that touched the hearts of many. Life goes on for those that are left behind, but Carli's memory will never be forgotten.